A red Internal Error while accessing a page preview is probably caused by misconfigured WCF. 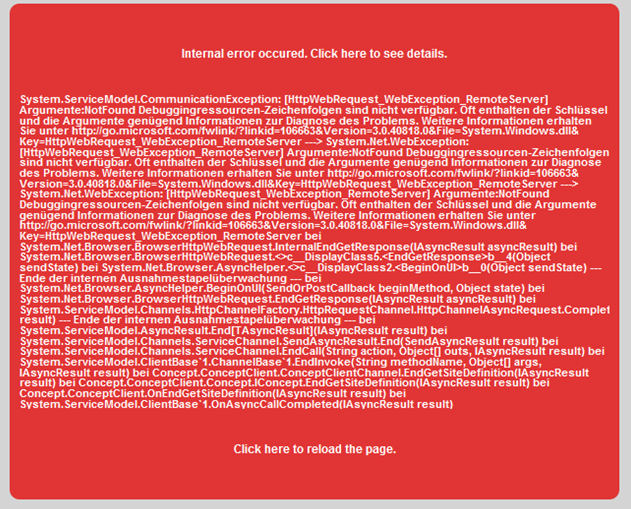 You are accessing a Page in a preview mode and get a red message "internal error occured". The cause of the problem is not properly configured/activated WCF support in IIS/IIS Express (WCF stands for Windows Communication Foundation). So while responding to the Imprint_de.AxCMS request the IIS tries to use the Concept.svc WFC service which fails with a 405 error. Like 404 errors these are just reported to say "not found" while they ought say "not allowed for execution". It registers WCF with IIS. After IIS restart eveything should work properly. 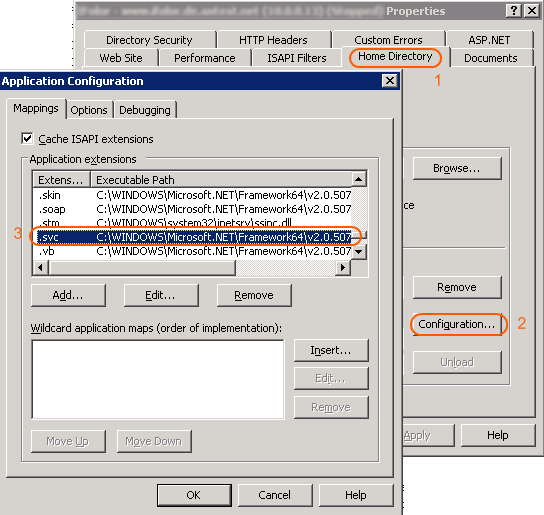 Run ServiceModelReg as described under "Solution for IIS 7.x" above.